Hayes and Thomas said they're being targeted for political reasons. A pair of Texas politicians resigned after they allegedly misused public funds to attend an event on Michelle Obama's book tour. Forest Hill, Texas, Mayor Lyndia Thomas and Mayor Pro Tem Beckie Hayes submitted their resignations on Wednesday, ahead of a public hearing over alleged misconduct and expenses related to the former first lady's book tour event in Dallas last year. The pair allegedly received reimbursements for two $545 tickets for Obama's "Becoming" book tour. The expense was approved by the city manager, and Hayes received a check, but she said she paid it back when members of a citizens committee voiced concern. 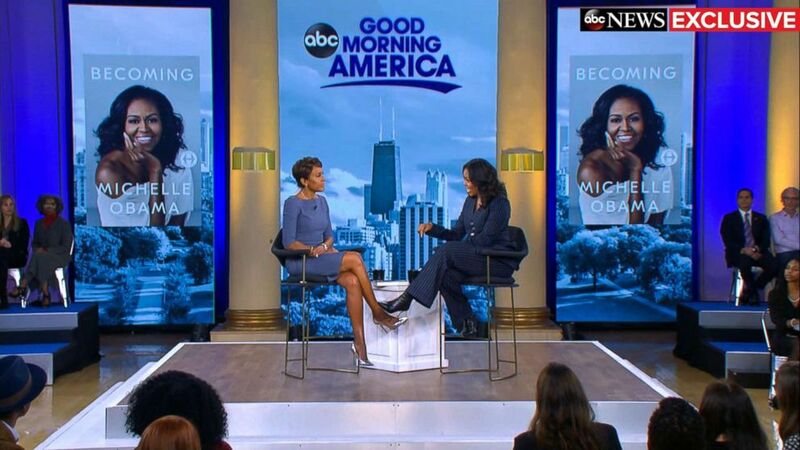 (ABC News) Former first lady Michelle Obama speaks out in an exclusive live interview with ABC News' Robin Roberts in Chicago about her memoir, "Becoming." Thomas said she resigned because she didn't want council members to decide her fate. "I will not leave my fate in the hands of other individuals," Hayes told ABC affiliate WFAA on Wednesday. "I am a woman of integrity, and the allegations, they have no substance. They are false." The council said it planned to "discuss and consider possible action up to and including reprimand, suspension or removal from office," according to an agenda posted online. Both Hayes and Thomas said they're being targeted for political reasons, and they both said they will plan to run for city council again. The next election is in May. "We don't get a salary, but we are entitled to be reimbursed for our expenses," Thomas said. "We are not trying to hide anything."